Maybe Facebook was on to something when it recently deemphasized its location check-in service. Cellphones may be capable of pinpointing your location using GPS or cell tower triangulation, but a new study says few American adults are interested in sharing their current location on services such as Foursquare and Gowalla. That's despite the fact that more than a quarter of all American adults are using online location-based services of some kind. Getting directions or recommendations for restaurants, museums and theaters based on your current location appear to be the most popular location-based services, used by about 23 percent of all U.S. adults, according to the Pew Internet & American Life Project. But when it comes to broadcasting your presence at your local cafe, nightclub or city park on services such as Foursquare or Gowalla, adults don't appear to be interested. “Americans are not currently all that eager to share explicitly their location on social media sites,” said Kathryn Zickuhr, a research specialist at the Pew Internet & American Life Project and co-author of the report. In fact, U.S. adults are more likely to include their location as meta-data in tweets and social-networking status updates than to check-in. Only 4 percent of American adults use their phones to share their location via check-ins, while 7 percent have set up services such as Facebook and Twitter to automatically include their location in status updates. Pew also found that smartphone owners are more likely to use social location-based services, with around 12 percent using at least one check-in service. That's hardly surprising since check-in services cater to smartphone users with slick apps that show your friends' activities, badges, local deals and mayorships. Feature phone users must check-in using a dumbed-down mobile site. Foursquare also offers an SMS service. American adults may not be big on sharing their location, but the number of people using check-in services worldwide appears to be growing. Foursquare, launched in March 2009, now claims more than 10 million users worldwide. The service also appears to have the confidence of investors after recently securing another $50 million in venture capital funding. 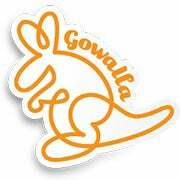 Gowalla had about 600,000 users as of late 2010, according to a number of reports. 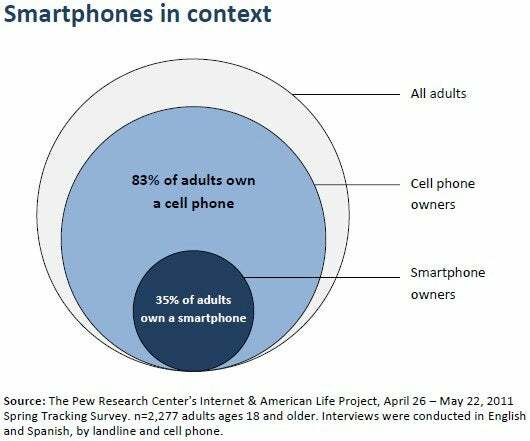 The findings from the Pew Internet & American Life Project are based on a national telephone survey of 2,277 adults between April 26 and May 22.